Home / Blog / What is ‘Clean Eating’? If you pop the hashtag #cleaneating into Instagram there are currently more than 27.7million posts, with images of everything from colourful salads, flat stomachs, green smoothies and everything in-between. When I searched the term the other day, this is what I was presented with. They’re all pretty glamourous looking pictures aren’t they? A posted gym selfie, arms folded in a way to show off maximum muscle and of course the food pictures. I can tell you from my experience that getting that angle on your smoothie bowl takes some serious effort, by the time you’ve contorted yourself into the most ridiculous photo taking position your left wondering is it all worth it? In January Ella Mills, better known as Deliciously Ella, branded the ‘clean eating’ movement as ‘dirty’. So what is clean eating? Has the clean eating movement done us any good? 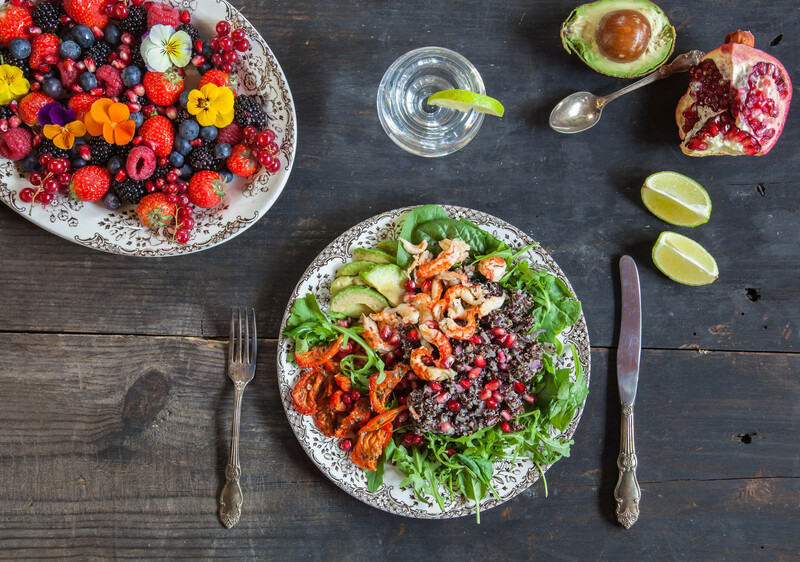 We can’t deny that the UK could do a little better when it comes to healthier eating. Many young people today wouldn’t be able to cook any meal from scratch, ‘cooking’ simply consists of putting a ready-made meal in the oven on microwave these days. As a nation we are accustomed to frequent restaurant dinners, microwave meals and ordering takeaways at the touch of a button, and what’s the betting that you’d spend a few extra pounds to get free delivery on that pizza you so badly needed? 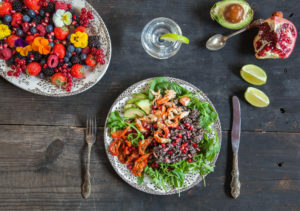 However a 2016 PwC study found that healthy eating is now increasingly on consumers’ agendas, with 47% of the 18 to 35 group reporting healthier eating habits between 2015 and 2016 than in the year before, and a predicted increase to 53% in the next year. 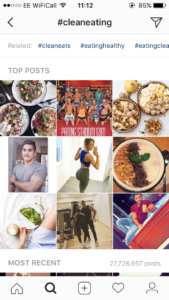 Due to social media it has become fashionable for people to pay more attention to their diet, because a green smoothie is way more ‘instagrammable’ than a microwave lasagne, am I right? Books such as Joe Wick’s Lean in 15 have put the message out there that ‘it’s easy to cook from fresh’, or ‘I don’t need to buy processed foods all the time’.” In 18 months, the Instagram star’s three titles have sold more books than any other UK weight-loss title since records began. This surely is saying something about our changing attitudes towards healthy eating. 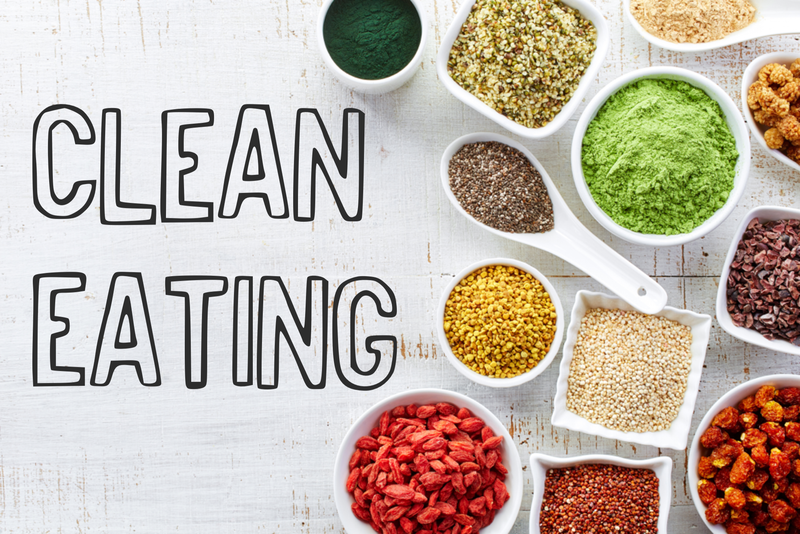 Here are some of our top ‘Clean Eating’ Tips! Never skip breakfast – Eating something in the morning boosts your energy levels and gets you set up for the day. Drink plenty of water – Most of us don’t drink enough water each day, we should have roughly 2 litres per day. Avoid ready-made meals and cook from scratch instead – Cooking from scratch is the only way to know exactly what is going into your food. Have a meal plan – It’s so much easier to stick to a healthy eating regime if you have a plan in place. Allow yourself a treat every now and again – Resisting temptation can be one of the hardest things to do, it’s best to allow yourself small treats so you don’t end up on a junk food binge! 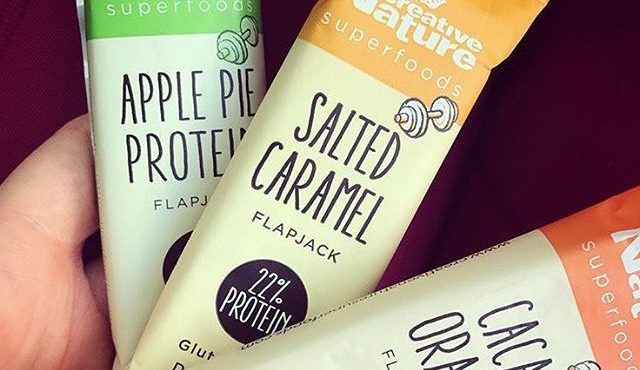 Swap to healthier alternatives – If you don’t think you can give up your beloved chocolate why not try swapping to Cacao? Cacao is raw, high in magnesium and free from Gluten & Dairy so is the perfect substitute while still getting that chocolate fix! You can pick up our Organic Cacao Powder and Organic Cacao Nibs on our website, on Ocado and in various independent health stores!